Mr. Robert Alvin Buboltz, age 76, passed away Thursday, July 13, 2017. 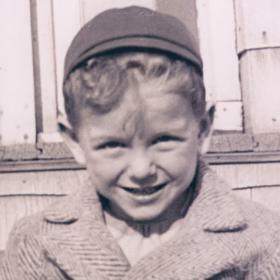 He was born in Antigo, Wisconsin on February 18, 1941 to Alvin and Helen (Petters) Buboltz. After his family moved to Milwaukee, he excelled in track and football and was the president of his class in high school. 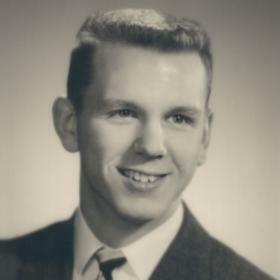 Bob graduated with a Bachelor of Science Degree from the University of Wisconsin Whitewater and enlisted in the US Army Reserve. He married the former Carolyn Kooistra on January 24, 1975 and was a devoted husband and father to her and their one son. He was employed in Human Resources for Teledyne Wisconsin Motors when he was transferred to Teledyne Continental Motors in Muskegon. He moved on to Lift-Tech International, Inc. and worked there until retiring. 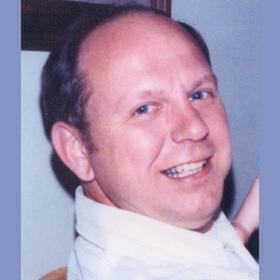 Bob was a member of Central United Methodist Church and the Muskegon Area Parkinson’s Support Group. He enjoyed old movies, fishing, antiques, hikes in the woods, the Green Bay Packers, and Civil War history. More than anything, Bob enjoyed spending time with his family, especially the trips to Father and Son Camp at Camp Pendalouan and the many travels around the country. 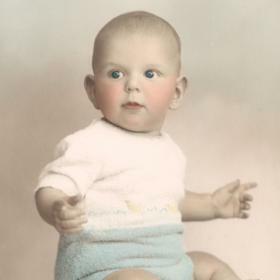 Bob is survived by his wife of 42 years, Carolyn; and his son, Michael (Joanna) Buboltz. 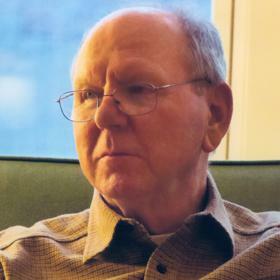 He has two beloved grandchildren: Lauren and Clara Buboltz. He is also survived by his sister, Julie (Dale) Mayer; sisters-in-law, Carrie Sue Buboltz, Joann Kooistra, and Gale Kooistra; brother-in-law, Frank (Zainabu) Kooistra; many nieces and nephews; Michael’s parents-in-law, David and Kathleen Myers; and special family friend, Amy Schuett. Bob is preceded in death by his parents; his brother, Richard Buboltz; and brother-in-law, Ernest Kooistra. Saturday, July 29, 2017, 11:00 am with visitation one hour prior to the service at Central United Methodist Church with Rev. Mark D. Miller officiating. MEMORIAL: In lieu of flowers, please consider giving to Central United Methodist Church or Michigan Parkinson Foundation. Please visit www.clockfuneralhome.com to leave a memory or sign the online guest book.